Note: Today’s session is a slightly modified version of the classic old-school workout known as “Nasty Girls.” For athletes that are not yet able to perform the Bar Muscle-up, complete 21 Pull-ups and 30 Hand Release Push-ups each round, partitioning as needed. Aisha is Athlete Of The Week! Congratulations to Aisha who was recognized as Athlete Of The Week at CrossFit Amundson. Aisha is what we consider a “Trifecta Athlete” who trains across three disciplines including CrossFit, Krav Maga and Warrior Yoga. 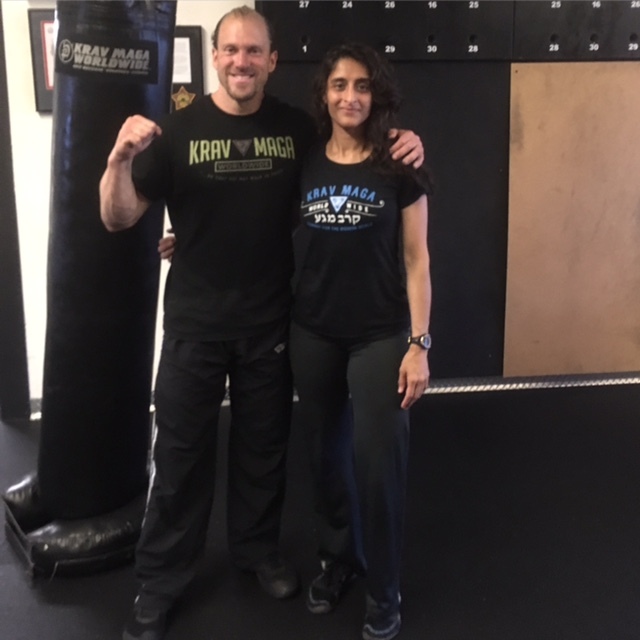 Her skill in all three pursuits is incredible to behold, yet it’s her technical ability in Krav Maga that really sets her apart as Athlete Of The Week. Aisha has crisp, powerful and accurate strikes, and her focus during the stress drills is incredible. When she is not lifting barbells or delivering Hammer Fists, she is studying to become an Acupuncturist at Five Branches Traditional Chinese Medicine School. Plus, this incredible woman has a heart of gold, and word of encouragement and health for everyone she meets. Keep up the inspiring work Aisha, both inside and outside the gym!